Imagine that you are organizing a huge festival in which safety and security are the foremost priorities. Then imagine you get the message that a 6-year old boy is missing. How can you keep track of several thousand guests and hundreds of boats in a few hectic days? 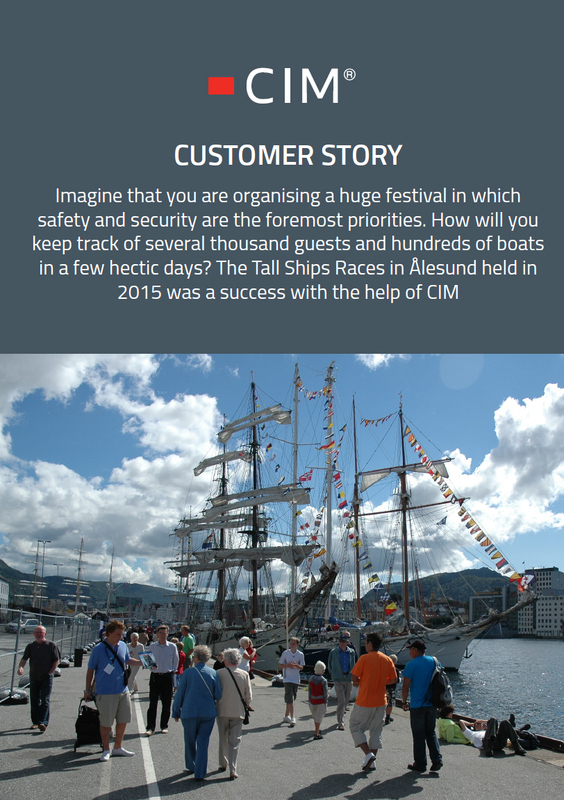 The Tall Ships Races in Ålesund held in 2015 was a success with the help of CIM. Only 15 minutes after the report was made the missing six-year-old boy was found and reunited with his worried parents. Even the local police were amazed at how quickly and easily the incident was resolved.